There were lots of important reports on the U.S. economy released this morning. 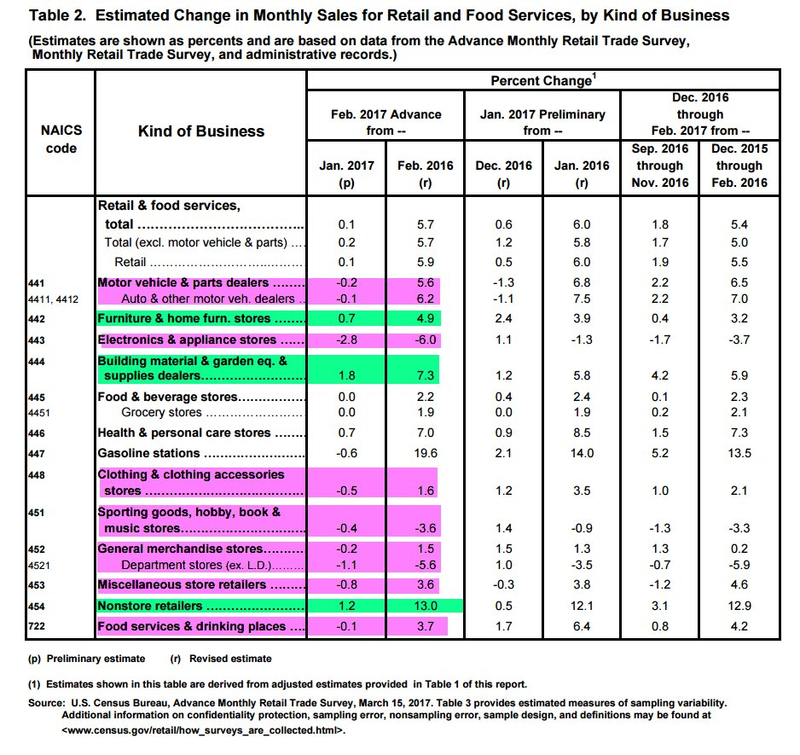 First, data from the U.S. Census Bureau showed that advance estimates of retail and food services sales for February totaled $474.0 billion. 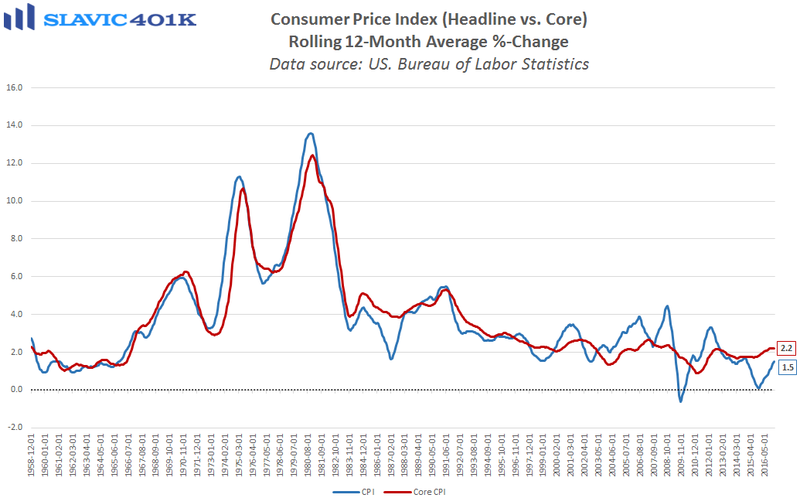 That was a 0.1 percent increase from January’s upward-revised print and in line with economists’ expectations, although still the smallest monthly gain since August. One reason for the muted sales figure was cheaper energy prices, including a 0.6 percent drop in gasoline station receipts. 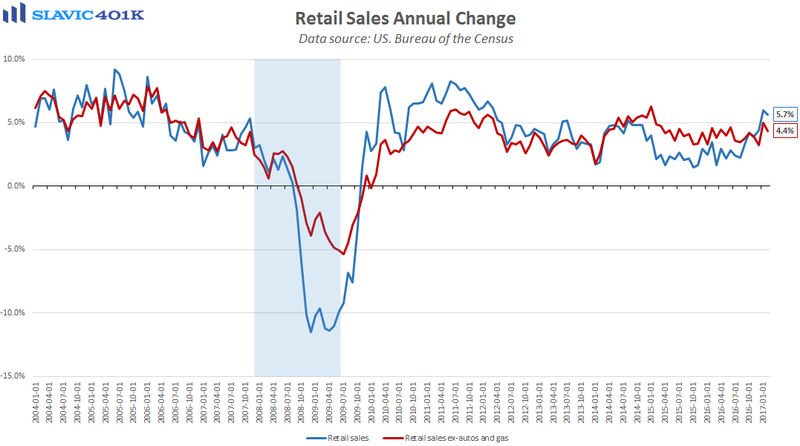 Even core retail sales, though, rose by just 0.2 percent last month, with notable declines in sales at electronics and appliances stores and apparel outlets. However, this could be only a temporary slowdown in consumer spending related to the delay in individual tax refunds we mentioned last week. 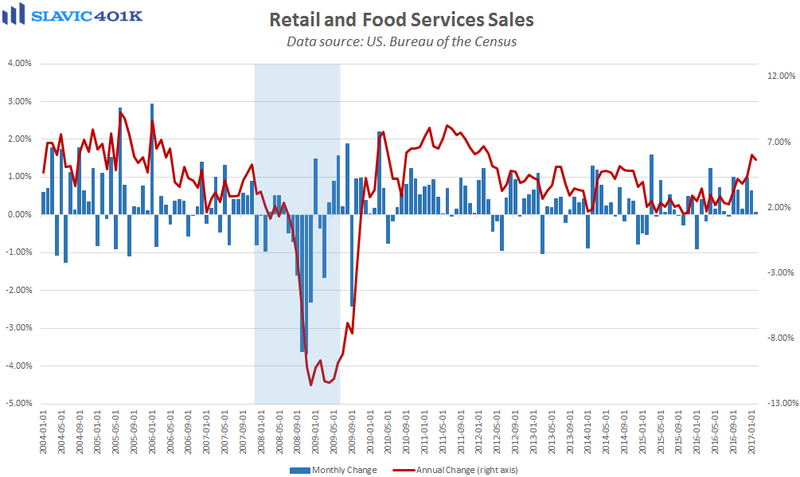 As a result, subsequent reports on retail sales will be more revealing about just how healthy the U.S. consumer is. 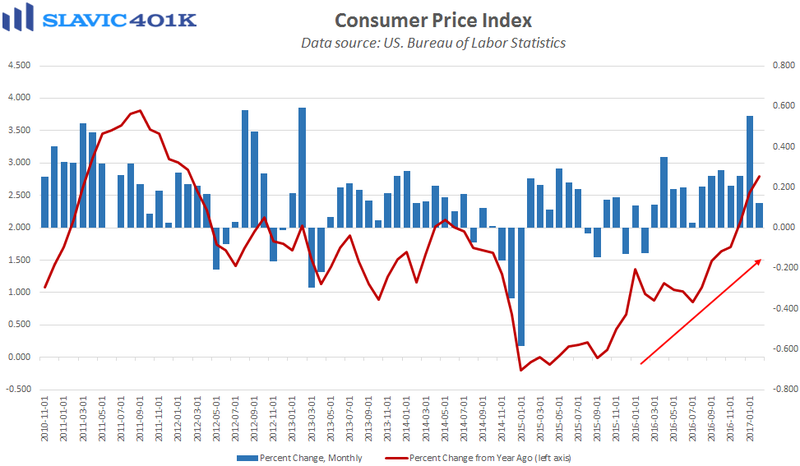 Next, a report from the Bureau of Labor Statistics (BLS) showed that household inflationary pressures firmed last month, with the consumer price index (CPI) for all urban consumers rising by 0.1 percent. 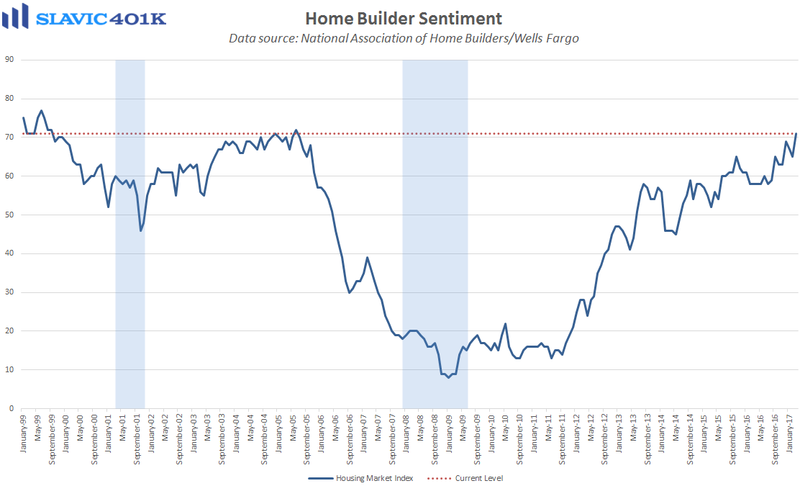 That was in line with expectations but a large slowdown from the 0.6 percent spike seen in January. Last month’s headline gain was muted thanks to energy costs, which fell for the first time since July and included a 3 percent drop in gasoline prices. Regardless, February’s increase was still enough to lift the annual pace of growth to 2.7 percent, the highest reading since 2012. 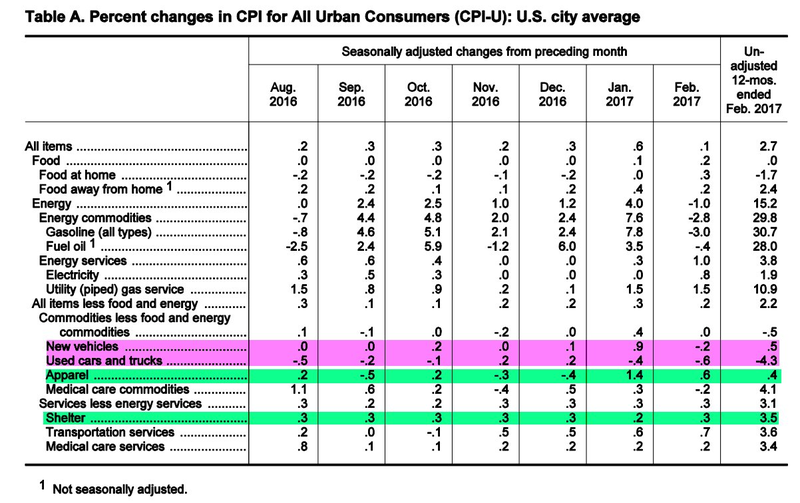 Core CPI, which excludes the volatile food and energy components, rose 0.2 percent last month and 2.2 percent over the past year, helped recently by shelter costs (rent) and apparel prices. 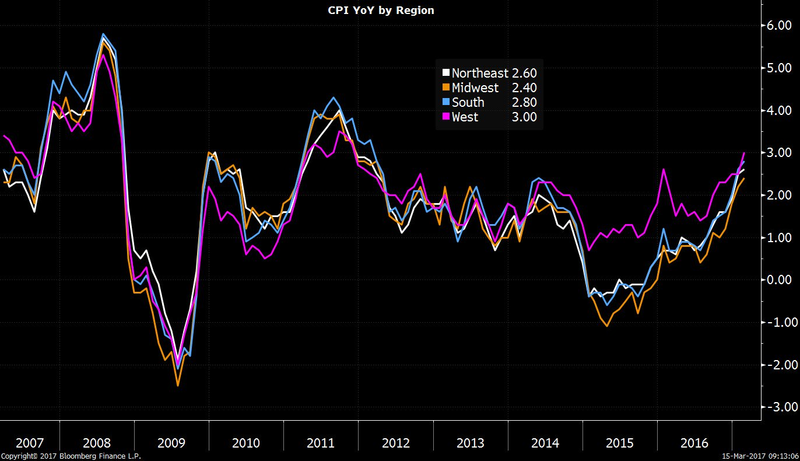 Altogether, today’s inflation data by itself should not be enough to prevent officials at the Federal Reserve from announcing an increase to the federal funds rate later this afternoon when the March Federal Open Market Committee (FOMC) meeting concludes. 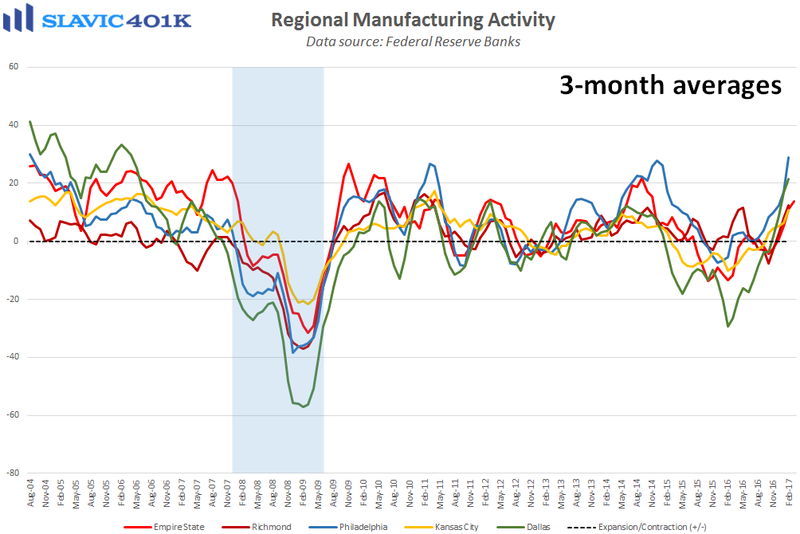 Finally, a report from the Federal Reserve Bank of New York showed that manufacturing activity in the Northeast region of the country cooled slightly this month, with the general business conditions index sliding from February’s +18.7 print to +16.4. 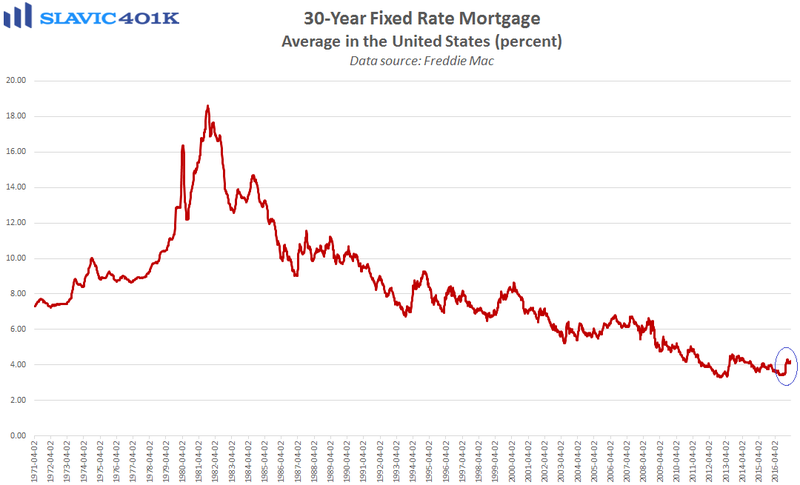 That was the first monthly decline since January but a smaller pullback than expected following the two-and-a-half-year high hit in February. 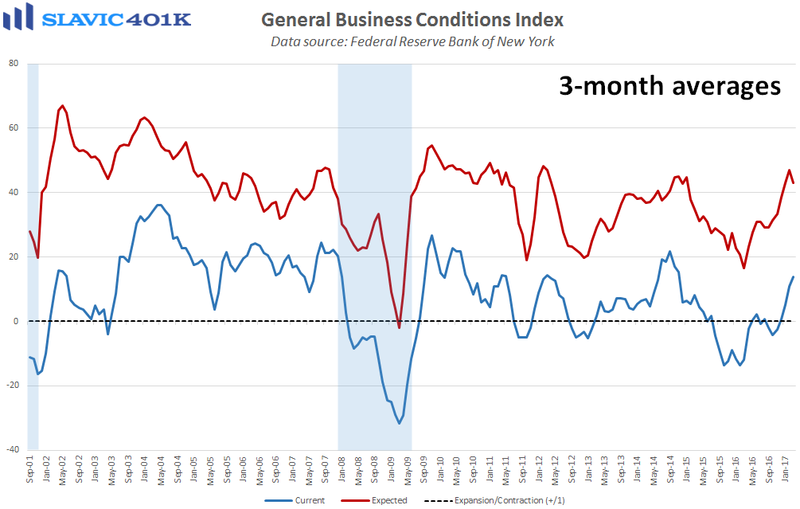 Under the hood, measures of shipments and inventories declined this month but new orders, employment, and hours worked all improved, including an uptick in capital expenditure plans.